Faking It: Can Job Applicants ‘Outsmart’ Personality Tests? “Faking” is probably the biggest apprehension employers have about using personality tests during the hiring process. These concerns are well founded. Job applicants are confronted by more tests all the time. They are motivated to “pass the test” and come closer to a job offer. This should be no surprise, especially in tight economic times. To get the most from your investment in tests, you need to become skilled in test administration and interpretation. Lynn McFarland, Ph.D., an assistant professor at Clemson University’s industrial/organizational psychology program and president of Human Capital Solutions, Inc., studies the “faking” phenomenon. She works primarily with self-reported measures, such as personality tests and biodata. “The [psychological] literature in general indicates that job applicants score higher on ‘social desirability’ on tests than groups we can be fairly certain are responding honestly,” she says. Social desirability refers to the tendency of test-takers to provide answers they believe will be acceptable within the social norms of the test-giver. “Job incumbents or college students, for instance, have no consequence tied to the test,” McFarland explains. In other words, people who aren’t seeking jobs have little incentive to provide socially desirable answers. But job seekers are a different case. “It seems that at least some applicants do try to “fake” the tests and are successful at doing so,” says McFarland. Employers have forever had some clear preferences in personality traits of candidates: Total honesty is a no-brainer, closely followed by the ability to control one’s own anger. Beyond this, conscientiousness, ability to work in teams and persistence are three top examples of universally desirable traits. Extraversion is also more attractive than introversion for many jobs, particularly when direct client contact is involved. But if the “right” answers are an open secret, is testing a valid tool in selection? To answer that, it’s important to look at some of the subtleties that experienced testers come to know. Case 1: Some faking is devious and intentional. Let’s say an applicant for a retail position intends to shoplift. He or she does not want (lack of) integrity to come out during the hiring process. The applicant might try to “beat the test” by providing what he or she believes to be the “correct” answers. Case 2: Some faking is motivated by a desire to look good “in front of the camera.” Consider the example of an applicant who seeks to please the employer with the “correct” answers so they can get past the test phase and get to second or third interviews. This person does not intend any harm. They may simply feel that testing doesn’t show their real strengths and may exclude them from consideration for the wrong reasons. Case 3: Some faking is based on an elevated self-evaluation. Some applicants’ self-awareness is very optimistic. He or she believes they have many socially desirable characteristics. Whether they really do or not is a question for the skilled interviewer to ascertain. Careful review of educational and work history might affirm the possibility that the optimism is well founded — or not. For testing to be useful as an adjunct to interviewing and other hiring tools, each of the above situations need to be detectable by the employer. Most test publishers would not dispute that test profiles can be elevated or falsified. So they strive to overcome the problem. “A test-taker who denies many of these undesirable behaviors that are extremely common will receive a high socially desirable score,” says McFarland. “The employer may use this to identify fakers.” She has some doubts about the effectiveness of this strategy, however. For instance, some people may have unusually high scores on “social desirability” scales, but may simply be trying to please, may have poor reading skills, or may have overly optimistic beliefs about themselves. 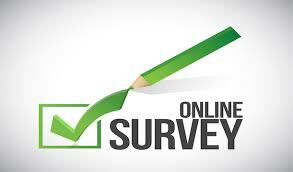 Questionnaire wording is one of the primary tools in the battle to thwart would-be deceivers. People who give extreme answers to questions are often – but not always -overcompensating to hide their true intent than those who do not answer with the extreme choices. Consider the shoplifter/retail applicant mentioned earlier in the article (Case 1) as he or she confronts this statement: “I have never known a person who shoplifts.” The options provided to the test taker are: Strongly Agree, Somewhat Agree, Neutral, Somewhat Disagree, and Strongly Disagree. If the shoplifter is being honest, they would have to indicate “Strongly Disagree” because they themselves are shoplifters. The shoplifter might naively believe the socially desirable answer is “Strongly Agree.” If he or she gives enough of these desirable answers, a “faking” report will be generated. But what if the shoplifter is experienced at beating tests? We’ll consider that again a bit later. Consider Case 2, where the applicant sought to please the employer with the “correct” answers. They are motivated by a need to get past the test phase and get a job offer. On the shoplifter question above, they answer “Somewhat Agree” or “Neutral.” This places them within the employer’s expectations from an honest person. Our third example illustrates how some people have inflated or distorted self-awareness. These people haven’t necessarily strayed from the truth – as they perceive it. For instance, effective sales people often have extraordinarily high adjustment or self-confidence scores on personality tests. Their answers might generate a warning flag, but that does not necessarily mean that they should be disqualified from further consideration-if they are being considered for sales. McFarland, however, has serious reservations about the fairness of social desirability scales. These are special indicators built into test reports that warn employers of potential faking. “I advise employers to stop using social desirability scales until reasons for differences in social desirability scores across racial groups are better understood.” She notes that current research shows differences in responses among racial groups, and the reasons for it are not yet understood. “More research needs to be conducted to determine what’s going on here to ensure that personality tests are fair to all applicants,” she says. 1) Consider the requirements of the job. Jobs have “personality requirements.” For instance, the ability to work long hours without social interaction is far more “natural” to an introvert than an extrovert. Likewise, elevated confidence is often exactly what’s called for in an effective salesperson. The personality requirements of the job description can be examined through job analysis. This can help you assess the real importance of elevated scores in terms of your requirements. 2) Monitor the process. Though it may be convenient to have applicants take on-line tests at home, this can invite outright cheating. For instance, the applicant could have someone else take the test. (They could also be recording the test questions for distribution to other applicants.) All tests should probably be taken with adequate monitoring. 3) Use two tests. Let’s say you are hiring for a job where anger-proneness would immediately disqualify a candidate. Two tests may be advisable. The chances of someone successfully deceiving two tests are considerably slimmer than one. 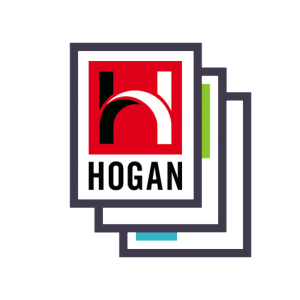 Hogan Assessments, for instance, offers companion tests-one that deals with the applicant’s visible, positive personality characteristics -and a second test to look at the darker sides of workplace behavior, such as tendencies to lose one’s temper, to become disruptive, or to be disrespectful of authority or coworkers. 4) Tell participants they will be discussing their answers at a later date. Dr. McFarland says this strategy shows some promise. It holds an applicant responsible for consistent answers at a later date. “Applicants can be told their answers will be discussed in an interview if they are selected to go on,” says McFarland. 5) For those who pass the testing screen, conduct interviews that are at least partially based on the test results. Some test publishers provide interview recommendations with the test reports, which can save time. If someone has intentionally provided false or inflated answers, you may spot discomfort or hesitation during the interview. Most applicants are not informed consumers of tests. If tests become more and more widely used, it is possible that some applicants will become experienced at beating the tests. For the time being, though, faking reports — used with caution — and other current strategies offer some assurance to employers. They must be aware that not all results that look like faking are actually untrue. Armed with these skills, you are ready to gain the advantages of pre-employment personality testing.